BugHerd's integration with JIRA allows you to send feedback you received on your BugHerd project from guests to JIRA. Note: your JIRA instance needs to be setup to accept new bugs/tickets via email. 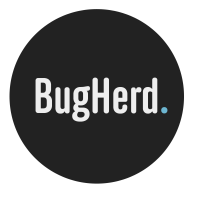 Bugs sent to JIRA via BugHerd are sent from 'no-reply@bugherd.com'. * Set the 'Default Reporter' fields on the mail handler to be a user you want BugHerd bugs created as. See Atlassian's instructions on setting up email. For each of your projects, specify a JIRA email target. After that's setup, you will have an extra option "send to JIRA" on feedback items that can be sent to JIRA (this requires a valid requester). Sending a task to JIRA triggers an email from BugHerd to the JIRA email address you specified with the task details. The task will be moved to the Archived tab in BugHerd. Find the JIRA integration and select add integration. You can now assign email address(es) to your project(s).